The best quality garage kits on the market to buy. There are several garage kits and storage kits to choose from ranging in best quality, durability, stability and life duration. Here are 4 types that are available in range of quality. 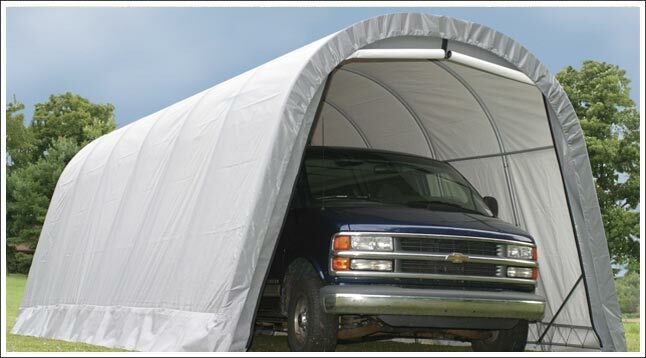 Like vinyl garage kits and carports, fabric kits have a metal frame that is a shell for the fabric exterior. This is the least expensive and desirable form of garage kit for security and stability. Fabric exteriors cannot protect the building contents and provide the least amount of security for what is inside the building. These types of garages are fine for a temporary space to park a car in the shade beside a residential home but not the best garage kit for a lifetime of use. 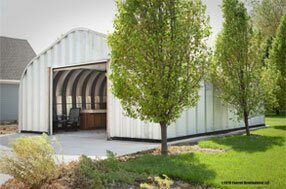 Vinyl garage kits and carports are great for temporary use in mild climates. These low grade prefabricated buildings are built around a wooden or (metal frame) much like a traditional structure and are prone to termites wood rot over decades of life and need to be maintained for the life of the building. The wooden or metal frame is then completed with vinyl siding attached to it. This is not the best for security or high wind speeds which can peel off the siding in a hurricane or collapse or bend in high winds and snow loads. 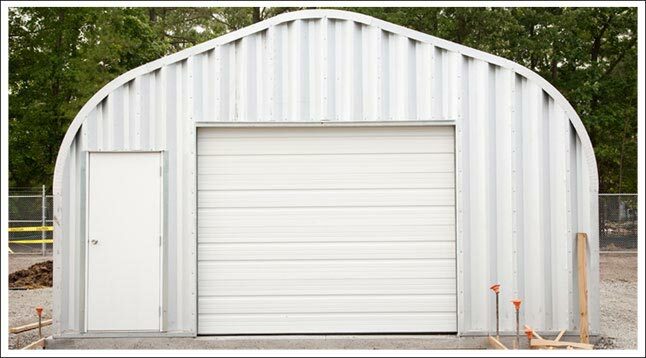 The vinyl steel carports and garage kits also come in metal frames that are low gauge metal prone to bending. 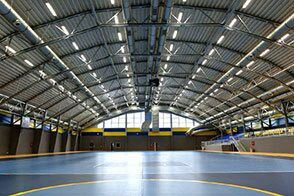 The roof is a metal truss system that is not certified for heavy snow loads. The building often comes with a foundation kit which is easily laid down inside the building. These buildings are fine for a low budget home addition for extra space to keep lawn equipment or recreational vehicles. You can find these kits online or at home and garden stores. This garage kit is the next step up from the fabric and vinyl garage kit. 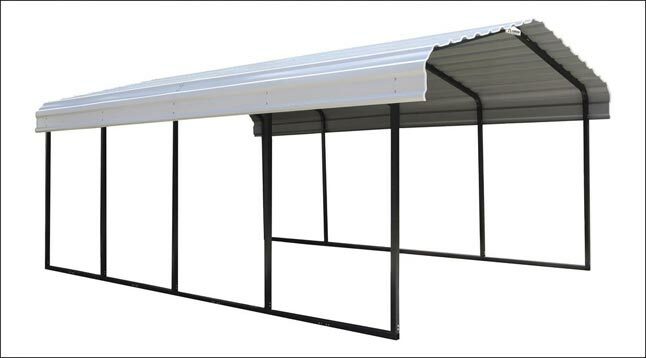 It features a square tube steel frame that can constructed on a concrete foundation or leveled soil or prefabricated floor and a gabled roofing system. The roof has framing system that is assembled along with the frame of the building using metal tubes and beams that slide into the tubes. 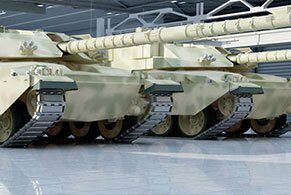 The thin 26 gauge steel panels are then bolted to the frame and the roof or simply connected via the hollow tubes. This building typically has a 90mph wind protection and 20 lb. per square foot snow load. There are locations throughout the United States that do not allow these types of buildings to be erected due to building codes that require a more structurally sound design and better components. This garage kit has several roof styles including gable, single slope, straight column, beam and column, or lean-to style. 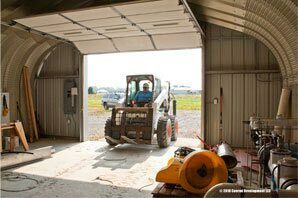 The components and materials are close to 25% more than the steel arch building garage kit and are less stable and secure. 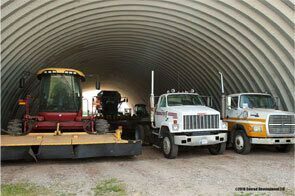 Some of the better quality buildings of this type also can have the same ventilation, overhead door and skylight accessories as steel quonset style buildings and need metal building insulation. Because of the engineering in this style building and no internal support beams it is less structurally sound than a metal arch building. 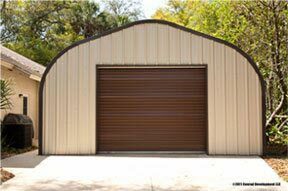 #1) Highest quality Steel Arch Quonset Hut, Rigid Frame (I-Beam), and Open Web Truss metal garage kits and steel buildings. 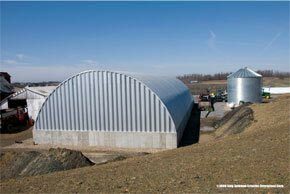 The quonset hut style steel arch building system is the best on the market. 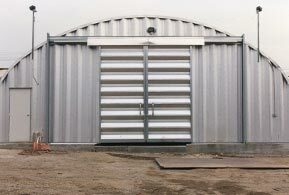 It is the most stable, durable, long lasting maintenance free building on the market today with a 40 year guarantee. 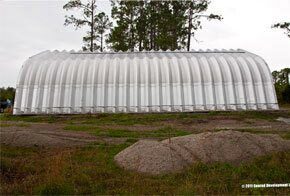 The engineering goes way back to the quonset hut design used by the military in the United kingdom and later in the United States military. 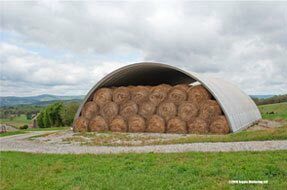 There is no framing system to this clear span building as it’s outer shell is comprised of single arches are bolted together one by one and steel end walls manufactured the same as the sides to achieve a virtually impervious structure withstanding fierce hurricanes and extreme snow loads. 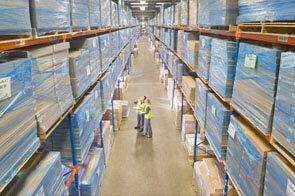 The building certifications are standard in many of the world’s industrialized nations. The 80,000ksi tensile yield carbon galvalume steel comes in several gauges depending on use from 14 to 22 gauge. The cost is typically less than a straight wall framed garage kit, Rigid frame and open web truss and is easier to construct. 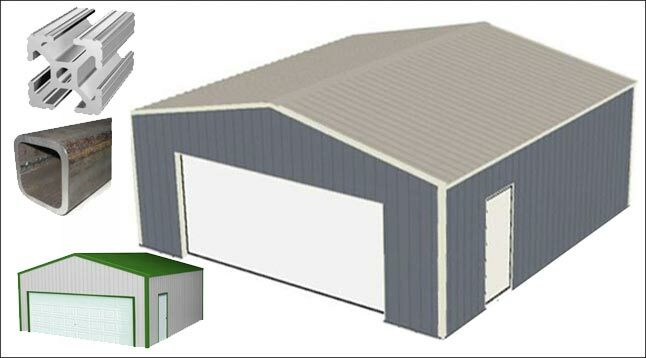 The Rigid I-Beam framed building is a sturdy structure but requires experienced construction crews and heavy duty equipment to put together the steel frame and cold rolled panels. The Open Web Truss system is used for large commercial projects such as shopping malls that need to be more aesthetically pleasing and sometimes require a second floor. The system is also more expensive and requires commercial construction contractors and equipment. 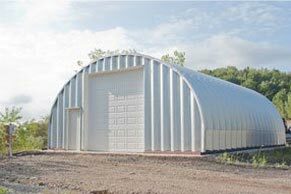 The best garage kit on the market for its low cost, strength, versatility, amd easy assembly is the steel arch quonset metal building system.